The day when Christ Jesus of Nazareth, went to the Cross of Calvary. He willingly gave His life for all of us. Today, we remember that horrific day in honor of that great sacrifice. We celebrate His death not in jubilation, but rather in thanksgiving to only One who could buy us back from the loss in the Garden of Eden. To us it is a Good Friday-a day of rejoicing in our Great Messiah! 6 Christ died for us when we were unable to help ourselves. We were living against God, but at just the right time Christ died for us. 7 Very few people will die to save the life of someone else, even if it is for a good person. Someone might be willing to die for an especially good person. 8 But Christ died for us while we were still sinners, and by this God showed how much he loves us. 9 We have been made right with God by the blood sacrifice of Christ. So through Christ we will surely be saved from God’s anger. 10 I mean that while we were God’s enemies, he made friends with us through his Son’s death. And the fact that we are now God’s friends makes it even more certain that he will save us through his Son’s life. 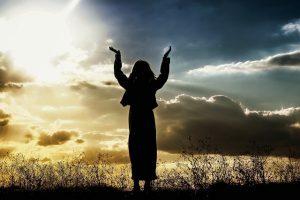 11 And not only will we be saved, but we also rejoice right now in what God has done for us through our Lord Jesus Christ. It is because of Jesus that we are now God’s friends. ‘Welcome! God bless the one who comes in the name of the Lord! “Do not be afraid, people of Zion! 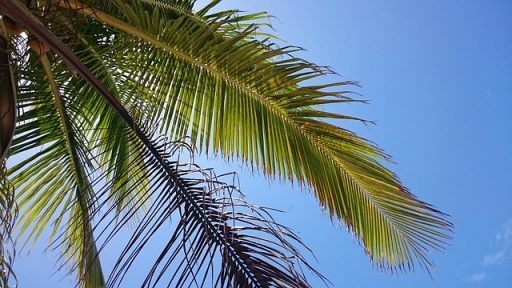 Why do we celebrate “Palm Sunday”? Christians celebrate Palm Sunday as the beginning of Holy Week. It marks the entrance of Jesus into Jerusalem. It was the week before His crucifixion. When He rode into Jerusalem, some recognized Him as “the One who comes in the name of the Lord”. They treated Him with the respect they would to a king by waving palm branches and laying them on the pathway like a royal carpet. They shouted Hallelujahs to Him and openly acknowledged who they believed Him to be, “The King of Israel”. We as believers, honor His entrance into Jerusalem that day so many years ago in remembrance of who He is and what He was preparing to do for us-go to the Cross of Calvary! This Sunday, March 25, 2018, let us honor Him and wave our own palm branches-our arms-to show our praise unto Him. 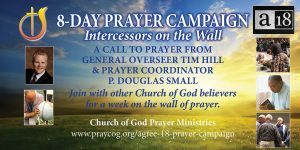 Join us in this prayer campaign! We are standing in the gap for the Church, the nation and the world. God loves the whole world and we do too. Youtube Link for more information.